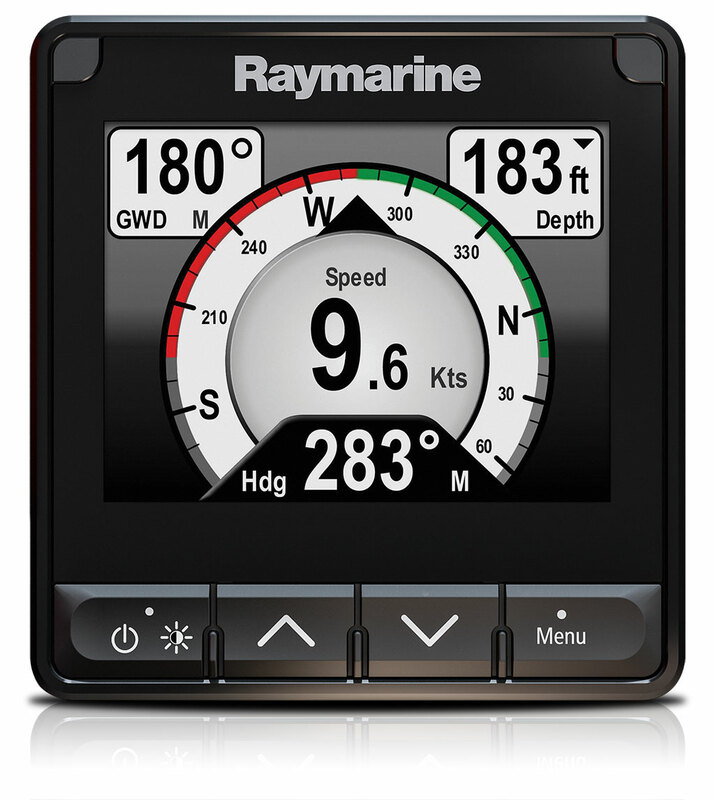 Today Raymarine announced the latest version of their popular colour multifunction instrument for sailing, fishing or cruising, the Raymarine i70s. The i70s is easy-to-customise to suit a user’s personal boating requirements, from traditional analogue dials to extra-large digital and graphical displays, providing the flexibility to display instrument and navigation data that is most important to the user. The i70s allows for simple integration into any existing Raymarine instrument system or users can create a network of i70s displays and sensors. The i70s features a sleek, low-profile design complementing the design of Raymarine’s eS and gS Series, with a large, ultra-bright 4.1” LCD screen that is optically bonded for enhanced contrast and wide viewing angles. Powered by Raymarine’s exclusive LightHouse instrument software, the i70s puts frequently used navigation functions right at the user’s fingertips.